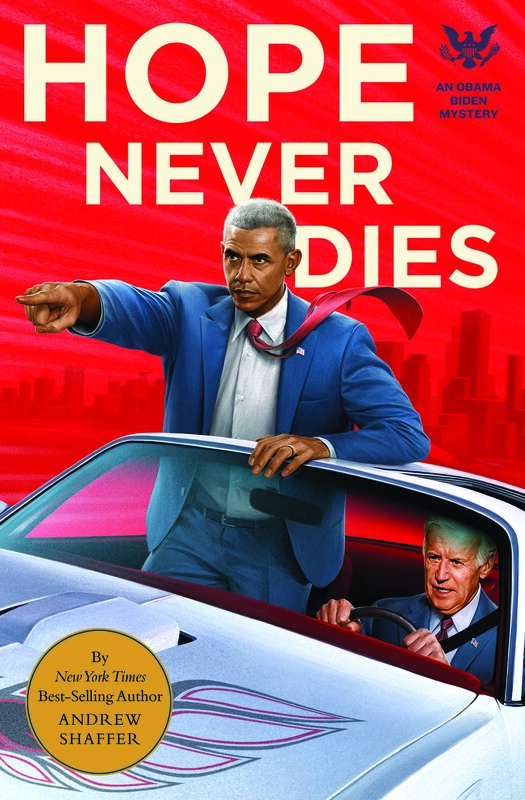 Andrew Shaffer, author of the new novel Hope Never Dies, stops by to chat bromances, political fatigue and Obama & Biden memes. I have to imagine the wealth of Obama and Biden memes had to inspire this story. Was that the case or did the idea come to you in another way? The first time I ever saw Vice President Joe Biden in his aviators, I thought he looked like a caricature of a noir detective. I wondered, “What if he had a secret life, where he solved crimes on the side?” Nothing ever came of the idea, though. When the bromance memes started, I thought, “A-ha! They have to be together, for it to work. Like Sherlock and Watson.” I typed up a short proposal for the book, and started batting around ideas with Quirk Books until it clicked. Prior to Hope Never Dies you had written The Day of the Donald – a satirical investigative thriller involving Donald Trump. With politics at the forefront of nearly every conversation today – was that something that was beneficial to your creative process or do you long for the days when the news coming out of Washington was a little more sparse? To be completely honest, before The Day of the Donald, I never expected to write a political thriller or mystery. That book really fell into my lap—my editor wanted a Trump satire on shelves before he was old news, and I could write fast, so I said I’d give it a shot. Of course, we had no idea how polarized politics would become. The Day of the Donald takes digs at both conservatives and liberals—not the smartest sales tactic in 2016. Everybody’s tired of the news right now; everybody’s tired of politics. That’s one reason why, despite the former jobs of the protagonists, Hope Never Dies has precious little politics in it. I don’t use the T-word once. It’s really a story about two former best friends trying to find their way in a world neither of them recognize. I thought Hope Never Dies came across like a great buddy cop movie in the style of Rush Hour, Lethal Weapon and Bad Boys – did you plan for that atmosphere when approaching the story? Definitely planned. It’s partly an homage to films like Lethal Weapon. There aren’t a lot of novels along those lines, at least not currently being published. “Buddy cop” or “bromance” movies, however, basically hit the same beats as romance novels. Less kissing, of course. But guns do go off. I had to shake my head and laugh on more than one occasion due to the sheer campiness of the story. Obviously the humor is on point, but was it important to include a more grounded, serious mystery? If I didn’t ground the book with a serious mystery, the book would have spiraled out of control into the realm of parody. That might have been fine for a satire like The Day of the Donald, but I wanted to try something different here. Something with more heart. The lower the lows, the higher the highs. Your background as a student of The Second City in Chicago clearly shows in your comedic writing. While the majority your work seems to stay within the realm of comedy, your parodies often tackle different styles of storytelling (The Great Gatsby, Fifty Shades of Grey, Edgar Allan Poe). Do you find this is necessary to stay fresh as an author or do you view it as a personal challenge? By the time I’ve typed “The End” on a parody, I’ve pretty much squeezed all the comedic potential from the original that I can. You don’t want to stretch a joke too far, which is why Fifty Shames of Earl Grey and The Great Catsby both clock in at around 40,000 words. I don’t know how many more parodies I have in me—they’re fun to write, but you need a really “big” book like Fifty Shades of Grey or The Great Gatsby to riff on. There just aren’t enough books making cultural splashes like that these days. The cover art really stands out and is sure to catch the eye of anyone browsing for their next read. Did you have any input when it came to the design? The cover design was all Quirk Books. I saw some of art director Doogie Horner’s designs and some of the artist’s early sketches, but I like to let the publisher handle stuff like that. Based on the reactions the cover gets from potential readers, I’d say they knew what they were doing! I realize Hope Never Dies is just hitting store shelves but judging by your bibliography, you’re a very prolific author. What are you working on now? I’m on a book-a-year pace when it comes to my traditionally-published work, with a few self-published books sprinkled in here and there. Right now, I’m working on the second book in the Obama Biden Mysteries. It takes place in Chicago, on Obama’s turf. Any books you have already read this year or are due to come out before the end of 2018 that you’re particularly excited about? I just finished Choose Your Own Disaster, a memoir by @guyinyourMFA creator Dana Schwartz. Who writes a memoir before they’re thirty…and writes it in the second person point-of-view? I’m allergic to both millennials and second-person POV, but I enjoyed this one. Weirdly, it wasn’t the only humorous “Choose Your Own Adventure”-style book I read this year—the other was Quirk Books’s My Lady’s Choosing, a spot-on romance-novel parody by Larissa Zageris and Kitty Curran. 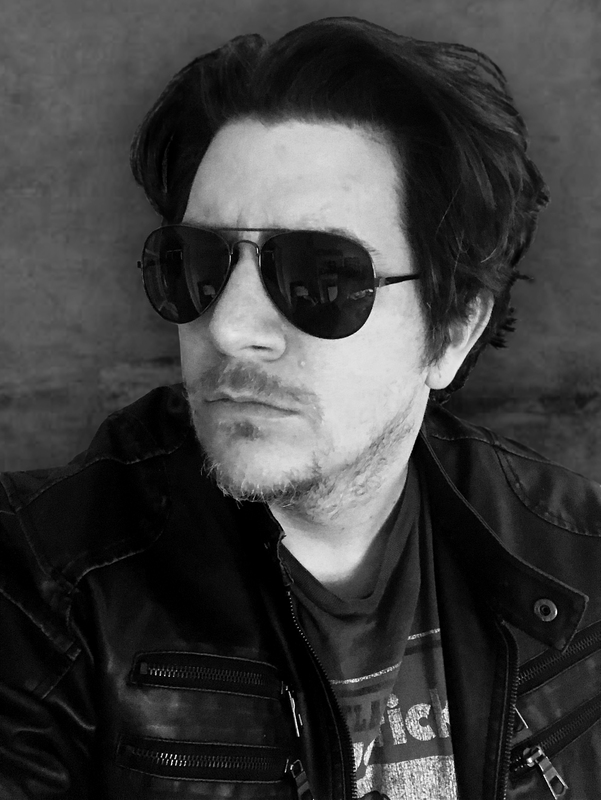 I want to thank Andrew for stopping by to answer a few questions about his novel, Hope Never Dies. If you want to read my thoughts on his book, check out my review!